When 4th-grader Leo teaches his friend Nessa (who’s so mad because her parents made her clean up her room before she could watch TV) to hold her thumb up and take a deep breath in like when she smells cookies in the oven, and then to hold her thumb down as she breathes out slowly, and do that three times, Nessa feels better. Leo and Nessa are featured in Breath Friends Forever, a newly published and beautifully illustrated book written by 4th graders in Chasmin Moses’s class at the Reach Academy in Oakland, CA. You can download the student’s recording of their meditations at http://www.newharbinger.com/41689 . We blow on a pinwheel to notice that different ways of breathing, quick, slow, deep, and shallow – affect how our minds and bodies feel. 1. Sit with your back straight and your body relaxed. Pick up your pinwheel. 2. When leading more than one child, ask them to put their pinwheels down before each set of talking points. 1. Ask children to look at a snow-globe (the kind you shake and the “snow” falls through the liquid on the small houses within) or a glitter globe, noticing how clearly they can see everything inside the globe. 2. Shake the globe so the snow/glitter inside swirls about; the liquid becomes cloudy and the landscape disappears. 3. Rest the globe on a table; ask the children to place their hands on their bellies and feel their breathing. Let the snow/glitter settle until the liquid is once again clear. 4. Ask the children, did the snow go away? No, it’s still there. Lead a discussion about how our thoughts can be like the snow/glitter. We can feel upset, unsettled, our minds can think all kinds of thoughts, and it’s hard to see clearly. When we focus on our breathing and let the thoughts settle on their own, we can see clearly again. 5. The children can learn to follow the cue, “Take a moment, notice your breathing; let your glitter settle” as a prompt to use mindfulness of breathing to settle their minds when they feel overly excited or upset. Mindful Schools has now trained 25,000 teachers to incorporate mindfulness practices in classrooms, impacting 2 million children in the last ten years. One key element to the success of the program is that teachers are requested to “walk the talk” and cultivate their own daily meditation practice. Benefits: students of all ages experience less anxiety, less depression, less worry and rumination; they are better able to focus and pay attention, so academic achievement improves. I invite you to assume a mindful body posture…let your eyes close, or cast your gaze downward softly in front of you…. I invite you to feel the sensation of air as it passes through our nose into our nasal cavities….perhaps feel the change in temperature as the air moves in, and then moves out…cooler air moving in, warmer air moving out…. I invite you to consider this scientific fact: within each of our cells, as an oxygen molecule (O2) is used to combine with our food to fuel our energy needs, it is split into 2 atoms, each of which combines with hydrogen to form water (H2O). In other words, an essential portion of the air we breathe – oxygen – literally becomes part of the physical fabric of our being, part of the 70% of the water that makes up our bodies. I invite you to take a moment to contemplate our amazing and abiding relationship with the air: in a very real and tangible way, we are one with the air. I invite you to be grateful for the air around us. I invite you to take a moment to move your tongue around in your mouth to feel the watery nature of your being. I remind you that we are 70% water and that this water is salty – we can taste the salt in our sweat and tears. I remind you that this salt-watery portion of our being is essentially the same as seawater, a vestige of our evolutionary origins in the oceans of the Earth. We literally sweat and cry seawater…. So, where does the water in our body today come from? We know the answer. Recall from the previous meditation on the air that a tiny portion comes from the water made from oxygen combining with hydrogen during the process of metabolism, but a vast majority of water comes from the water that we drink, taken from lakes, rivers, streams, and aquifers of the Earth. Or from the water contained in the fruits and vegetables that we eat – from plants (or animals that eat plants), which in turn acquire their water from the Earth. So literally, 70% of the physical fabric of our bodies is composed of water from the Earth. I invite you to take a moment to contemplate our amazing and abiding relationship to the water: in a very real and tangible way, we are one with the water. I invite you to be grateful for the waters of the Earth. I invite you to gently bring your teeth together to feel the rigid hardness of your teeth…Next, take a moment to take your right hand and feel the hardness of the knuckles in your left hand…and the hardness in the bones of your fingers… And take a moment to feel the harness of your kneecaps…. and your elbows. Where do these hard, rigid portions of our body come from? What makes our teeth and bones so hard and rigid? We know the answer. The hardness comes from minerals, like calcium and phosphate. And where do these minerals come from? They come from the plants that we eat as food. Either the plants themselves, or from animals that eat the plants. And how do plants acquire these minerals? We know the answer. Plants obtain minerals like calcium and phosphate from the soil, where the minerals dissolve in water and are taken up by the roots of plants. Thus, significant portions of our physical being, especially our teeth and bones, are composed of minerals found the soils of the Earth. I invite you to take a moment to contemplate our amazing and abiding relationship with the soil. In a very real and tangible way, we are one with the soil. I invite you to be grateful for the soils of the Earth. I invite folks to bring the palms of your hands together and feel the warmth generated between your palms. Where does this heat come from? We know the answer. It comes from our bodies’ metabolism – the heat-producing process in our cells that provides for our energy needs and to help keep our bodies warm. Metabolism is basically the burning food in our cells, food we eat for breakfast, lunch and dinner – food that ultimately comes from plants, or animals that eat plants. And where does this “stuff” of plants that we eat – come from? It comes from an amazing process of plants combining sunlight with carbon dioxide and water – the process we know as photosynthesis – to produce the fruits, seeds, roots, and leaves that we consume as food. So, the warmth of our bodies literally comes from the energy of sunlight; we literally burn sunlight in our cells. We embody the light of the sun. I invite you to take a moment to contemplate our amazing and abiding relationship with the sun: in a real and tangible way, we are one with the sun. I invite you to take a few more moments to reflect in our amazing and abiding human relationship with the air, water, soil, and sun. I invite you to embrace this relationship with the rest of nature with a sense of wonder and awe, and to take joy in the amazing interdependent unity of all things. I invite you to be grateful for the air, water, soil, and sun. Mark strongly believes in the efficacy of students as peer educators and work with his students as co-facilitators of his Mindfulness in the Garden, Mindfulness by the Sea, and Teen Mindfulness Circle program. Inward Bound Mindfulness Education (iBme) provides multi-day, in-depth retreats for teens. 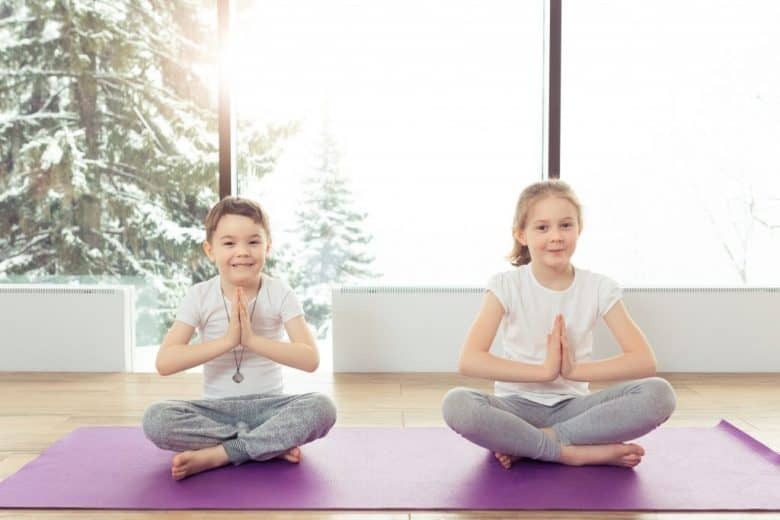 Through guided meditations, small group discussions, and mindful movement, students learn how to settle a busy mind, direct and sustain attention, investigate emotions and thoughts, cultivate compassion, and communicate with their peers. Participants learn practices of self-awareness, compassion, ethical decision making, caring for nature and addressing issues of social justice. I had the privilege of teaching a webinar recently on Practices to Build Resilience in Children for Little Flower Yoga in New York City. LFY teaches embodied mindfulness to help kids thrive in the world regardless of circumstances. I was teaching teachers to teach students the mindful noticing of “Change Every Should to a Could” to shift from a sense of obligation and possible failure to a sense of possibility and possible success. You can listen/download my audio recording of this exercise here. There are so many, many resources for teaching mindfulness to kids. And, of course, parents and teachers cultivating their own mindfulness practice are key. Laura Markham’s wonderful books (Peaceful Parent, Happy Kids Workbook: Using Mindfulness and Connection to Raise Resilient, Joyful Children and Rediscover Your Love of Parenting), blogs, videos, online courses, etc. about mindful parenting at Aha! Parenting. It is unbelievable how enough I am!